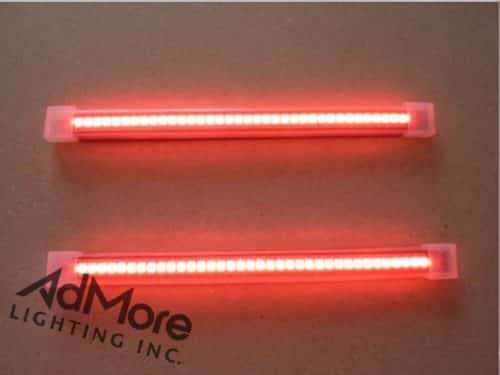 E52 TOP CASE – LED KIT (TS) - AdMore Lighting Inc. 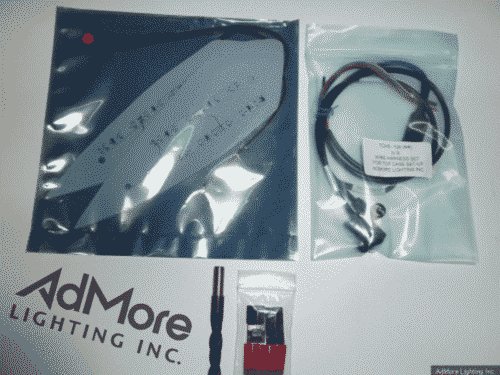 The AdMore Light Kit for the E52 top case. Enhance your visibility! 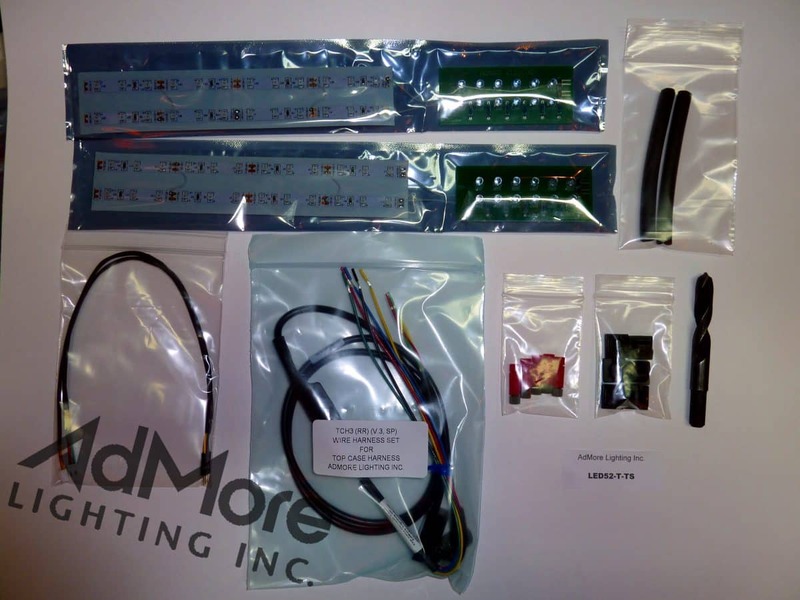 Make sure that you’re seen with this light kit installed in your E52 top case! The AdMore LED52-T-TS Light Kit significantly increases your visibility on the road by providing brake light, tail light and turn signal functionality to your E52 top case. The LED52-T-TS light kit has been custom designed to fit the GIVI E52 top case. The LED52-T-TS light kit has been custom designed to fit the GIVI E52 top case. Each kit contains two high intensity LED light panels that fit perfectly behind the lenses of the E52 case to give you and your bike great wrap-around visibility! You will not ride unnoticed with this light kit installed in your E52 top case! Easy install with plug and play connections for my Concours 14. Much more visible from behind now. Good product. Just finished the install of my top case’s brake lights and turn signals and WOW!! – they’re great! 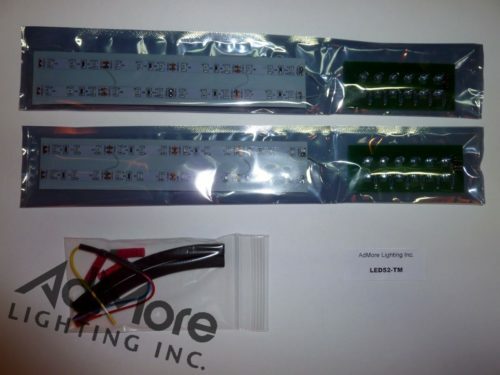 The customer service over at Admore Lighting is excellent! I e-mailed them late one Friday night with a question on a possible defective harness. I expected to hear back from them the following Monday. Instead, I got an e-mail back that same night! To make a long story short, David took very good care of me. He said that I could give him a call when I got off of work, which was at 11:00 (that’s PM on a Friday night!). After talking about my harness problem, David said that it sounded like I may have a defective harness and that he would arrange to have a replacement harness sent out to me right away. Unfortunately, there was a postal service delay getting it to me and David sent me another one via courier at a cost of $35 which they paid for. As it turned out, I received the 1st replacement harness the same day they sent the 2nd one! I tested and installed it. It was perfect. 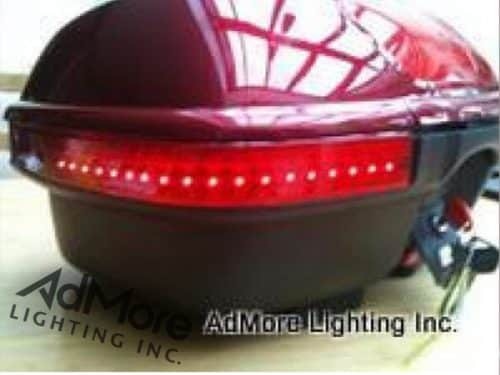 It would be great if more companies stood behind their products like Admore Lighting does. I feel safer knowing that people can see me better and it greatly enhances my Givi E52. I love their product! I just wanted to say how pleased I am with the Admore Lighting kit that is installed in the Givi E52 topcase that is mounted on my Yamaha FJR. When I first saw the video on the Twisted Throttle website where this particular lighting kit was demonstrated I knew I had to put one on my FJR. At that time I had the Yamaha factory trunk installed and was dissatisfied with the lack of space inside and most especially lack of additional lighting. The factory taillight/turn signal combination seemed woefully inadequate especially here in southern California with all the distracted drivers we have. I removed the factory trunk, purchased and installed the Givi E52 topcase and most importantly the Admore Lighting kit that fits inside. To say that I am thrilled with the extra visibility is a major understatement. The bright red LEDs for both the brakelight as well as turn signals are all that I hoped they would be. You guys have a winner as far as I’m concerned! As a former police motor officer, and a current motorcycle safety instructor, I know that anything a rider can do to make them self more visible in traffic will lessen the likelihood that they will be involved in a collision with another motorist. 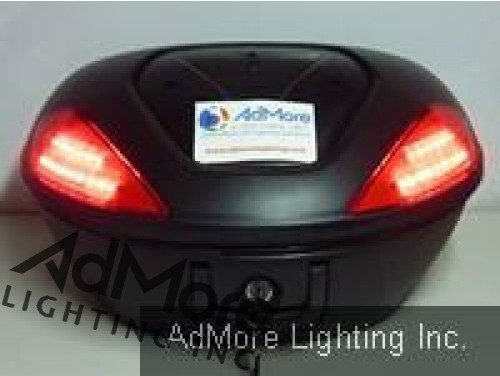 Adding luggage to a motorcycle may in some situations block the lines of sight to the rear lights on the bike. This can create additional hazards, especially in heavy traffic. 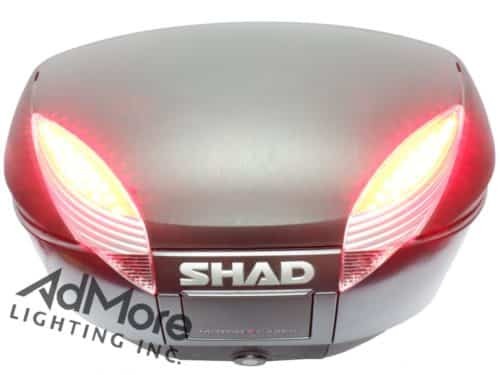 Vehicles following behind and to the side may not see the bike’s signals or brake lights when they are activated. 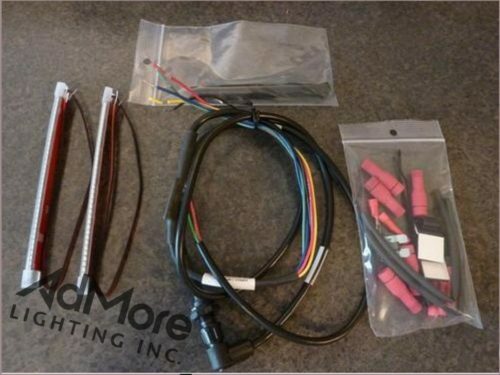 Installation of the kit on my bike was very straightforward, and everything needed was supplied including the drill bit to install the electrical connector! 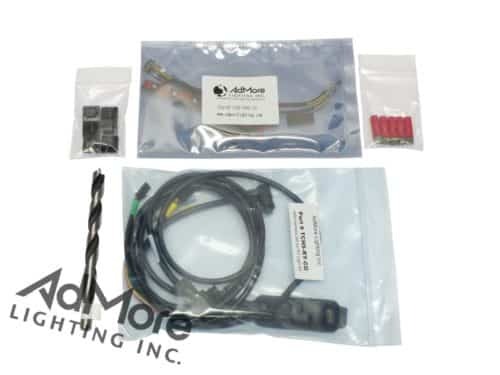 Admore Lighting’s customer service is second to none. My questions regarding the application on my motorcycle were answered promptly, and my kit arrived within days of my order. Being seen is essential to being safe on a motorcycle. Admore Lighting systems are attention grabbing. 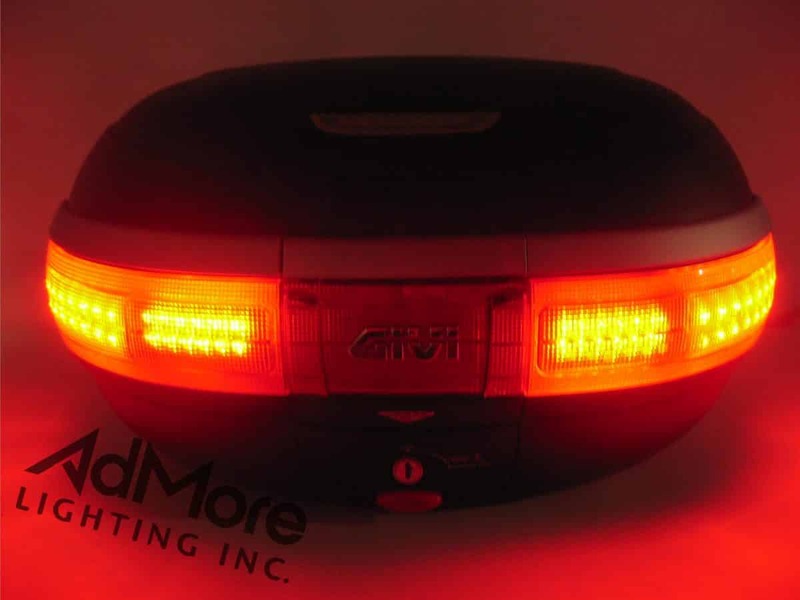 Because they integrate so well into Givi’s luggage, Admore Lighting systems will make your bike look just that much better as well! I received the kit [LED52-T-TS] on Monday and installed it on Monday nite. Looks great and makes me feel a lot safer! Having already been run over once, I’m big on conspicuity enhancements to my bike.